It is important that you are on time for each appointment as patients are booked every 30-40 minutes. If you are more than 10 minutes late you may not be seen. We advise you to read our missed appointment or late cancellation policy which details our policy on this matter. If you do not attend an appointment without prior notification you will be charged 50% of the fee for the missed appointment. If you cancel an appointment with less than 24hrs notice and we cannot fill your appointment you will be charged a 50% fee for the appointment. If you need to cancel an appointment, please give at least 24 hours notice by contacting the reception team on 01803 500155. If you are more than 10 minutes late for your appointment you will not be seen. This will be counted as one of your sessions. 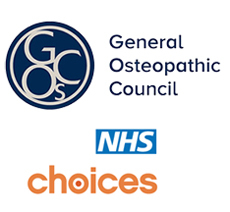 Your Osteopath may have time to discuss your case with you but not time to treat you. A further appointment can be made at this time. If you miss your initial assessment appointment (Do Not Attend – DNA) and do not contact us within 7 days, you will be discharged from the Service. Once treatment has commenced, if you miss a follow up appointment and do not contact us for 7 days, you will be discharged from the Service and your GP will be informed. If you DNA your initial assessment or one of your follow up appointments and contact us within 1 week you may make a further appointment to continue your care package. Short notice cancellations (less than 24 hours) will also be counted as one of your sessions if we cannot fill the slot with someone else. If you miss 2 of your sessions (DNA or short notice cancellation), you will be discharged from the Service. If you feel you have been treated unfairly we have a complaints procedure which gives details of how to make a complaint. Complaints should be addressed to our clinic director, Mr P Hatton. Alternatively, you may ask for an appointment in order to discuss your concerns. He will explain the complaints procedure to you and will make sure that your concerns are dealt with promptly. It will be helpful if you are as specific as possible about your complaint.